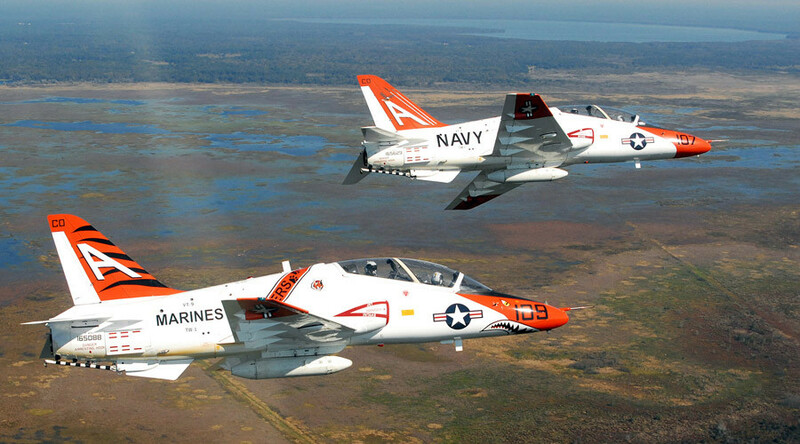 After flight instructors refused to fly the T-45 Goshawk training jets over concerns about oxygen tanks, the US Navy has grounded the entire fleet of about 200 planes, pending a review. Among the pilots affected is Vice President Mike Pence’s son. Naval flight instructors refused to fly the training planes on Friday, pointing to the alarming rate of malfunctions in the plane’s oxygen supply. Marine Corps instructors continued to fly, however. On Tuesday, the Navy decided to ground the entire fleet and set up meetings with the instructors at the naval air stations in Texas, Mississippi and Florida. “We take the concerns of our aircrew seriously and have directed a... safety pause for the T-45 community to allow time for Naval Aviation leadership to engage with the pilots, hear their concerns and discuss the risk mitigations as well as the efforts that are ongoing to correct this issue,” Navy spokeswoman Commander Jeannie Groeneveld said in a statement, which was quoted by Fox News and the Washington Post on Tuesday. Rear Admiral Dell Bull, in charge of Navy flight training, canceled a planned visit to NAS Meridian in Mississippi on Wednesday and expressed displeasure that the issue has been made public, Fox News reported, citing unidentified Navy officials. At issue is the rising number of incidents of “histotoxic hypoxia,” with pilots passing out or falling ill due to contamination of the planes’ oxygen supply systems. The T-45s went from about 11.9 “physiological episodes” per 100,000 flight hours in 2012, to 47 in 2016, the Post reported, citing Navy statistics. “The pilots don't feel safe flying this aircraft,” one instructor told Fox News. The training jets are averaging three incidents a week. One of the pilots affected by the “safety pause” is the vice president’s son, 1st Lieutenant Michael Pence, a Marine aviator currently in training at Meridian. Vice Admiral Mike Shoemaker, head of naval aviation, told Fox News that the oxygen supply issue is the “number one safety priority” at this time. The Navy’s F-18A Hornet jets are also experiencing hypoxia problems. Efforts to figure out the cause, however, have been unsuccessful. “Right now, we don’t have a smoking gun,” Shoemaker said. Groeneveld acknowledged that 40 percent of the instructors refused to fly last week. 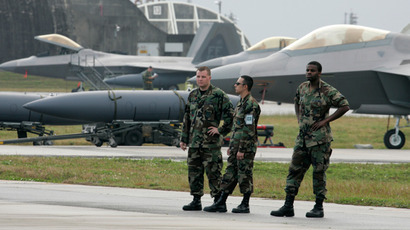 The number was closer to three out of four, the instructors told Fox News, since the Navy had reduced the flight schedule. "It's the admirals… the people that have the power to fix it that aren't doing a damn thing," one frustrated instructor said. Others said that Bull was “just dragging his feet” on the issue. None of the pilots were authorized to speak to the press, and they requested anonymity. The T-45 is a single-engine two-seater jet based on the British-built Hawk trainer, and entered service in 1991.